Southern Africa has been good to me. I think it brought me back to myself. I mentioned in a vlog a while ago that I felt like I somehow managed to get off-center, and wasn’t exactly happy with the person I was being. Just a couple days into Africa, and I felt like myself once again. There’s just something about this continent that not only makes me feel wild and free, but empowered. This place makes me feel like I could carry the entire weight of the world on my shoulders. There was a lot going on in my life and my mind before arriving in Africa. But, the continent made me feel light again. And, it gave me the air I needed to deal with a couple emotional battles I was soon to face. One of the places I didn’t go the last time I was in South Africa was Blyde River Canyon. So, a visit to the canyon, and surrounding areas was a priority for my trip. 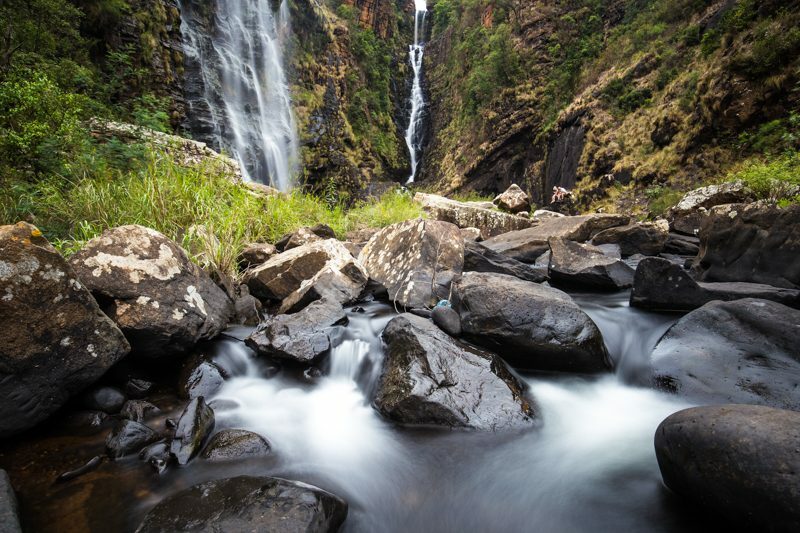 After the long drive from Chobe, I arrived at Blyde River Canyon excited to shoot. But, the canyon, I learned, has a lot of gates and it’s actually almost impossible to photograph at or around sunset. Still, I managed to get some cool shoots of the canyon from a view point just before the sunset hit and the gates closed. In fact, the security guard was great and basically offered to let me stay 30 minutes later so I could catch slightly better light. 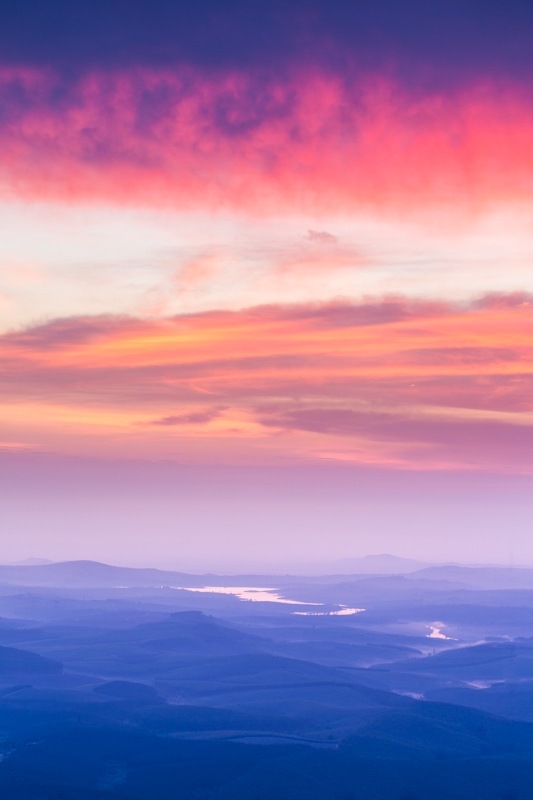 The view above Blyde River Canyon. 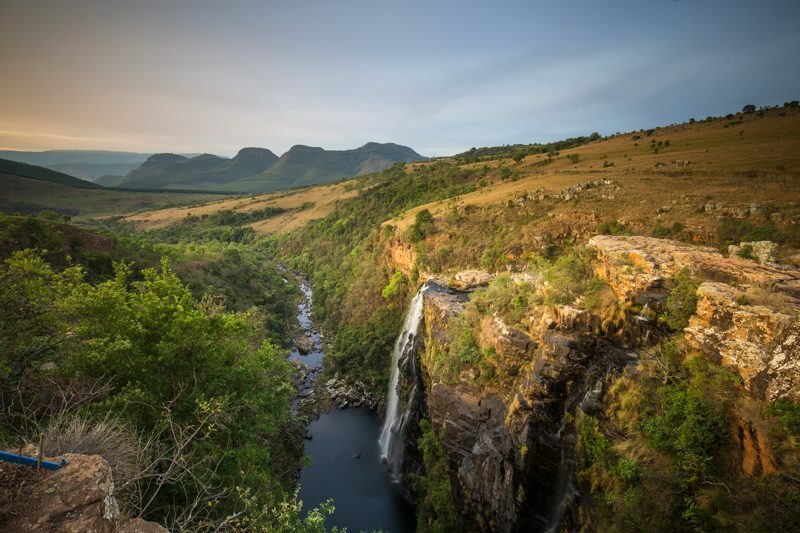 The next day, I headed into the southern section of the Blyde River Canyon area. I stayed in the town of Graskop and used it as a base to explore view points with dramatic names like “God’s Window” and “Wonder View”. I also checked out a couple of the waterfalls. And while the view points have dramatic names, I guess all the waterfalls are named after towns in Europe. Berlin and Lisbon falls were both very cool, although maybe a bit tough to photograph. 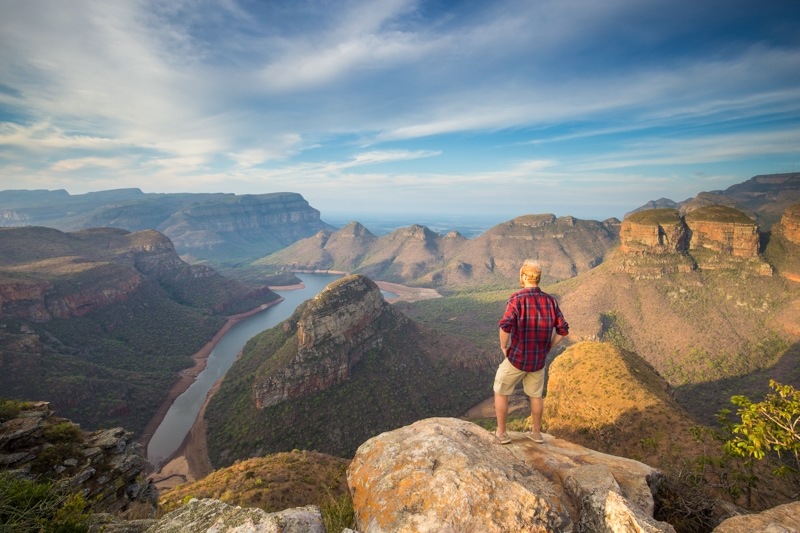 The “Wonder View” in Blyde River Canyon. The base of Lisbon Falls. I had 5 full days in Kruger National Park. And, after extremely successful safaris in both Kgalagadi and Etosha National Park, I was really excited to see what Kruger would bring. And, at first, things started out really well. I based myself for the first couple days at Satara Camp, which is the second biggest rest camp in Kruger National Park. 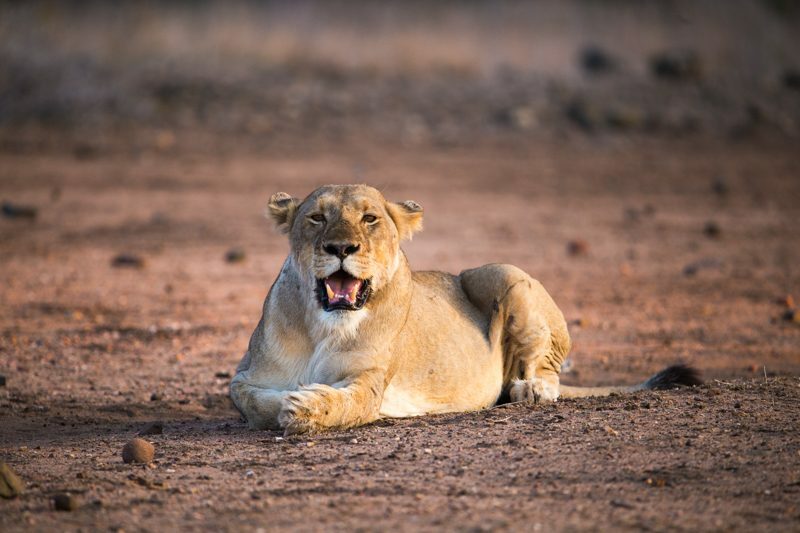 Satara is in the heart of big cat country, and it didn’t disappoint. There were loads of cats around. In the 2 days I spent up there, I probably saw about a dozen lions. I even also managed to see an albino lion, which is extremely rare – about 1 in 10,000 lions are albino. After leaving Satara, sightings really slowed down. I spent time in Olifants for a night as well as down at Skukuza. 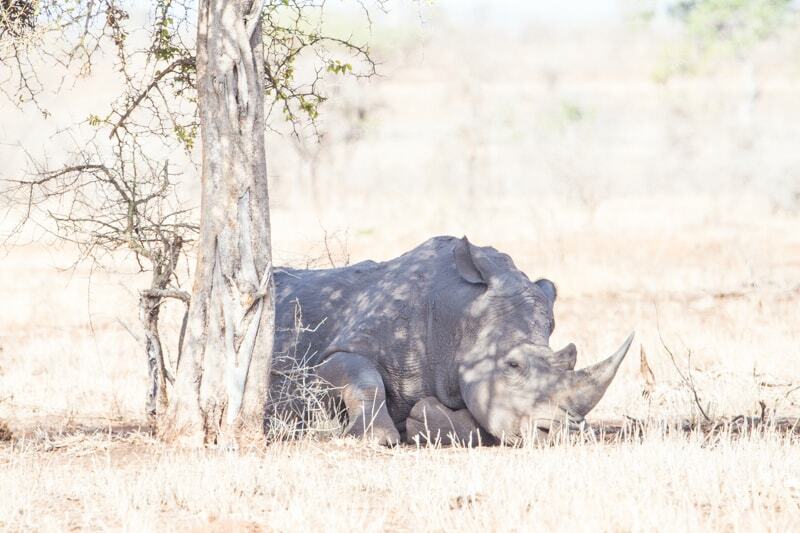 Neither of the areas provided big game yields as I really only saw 1 more lion – hidden in the bush – some hyenas, and a lot of the usual suspects. One day, I basically saw nothing. 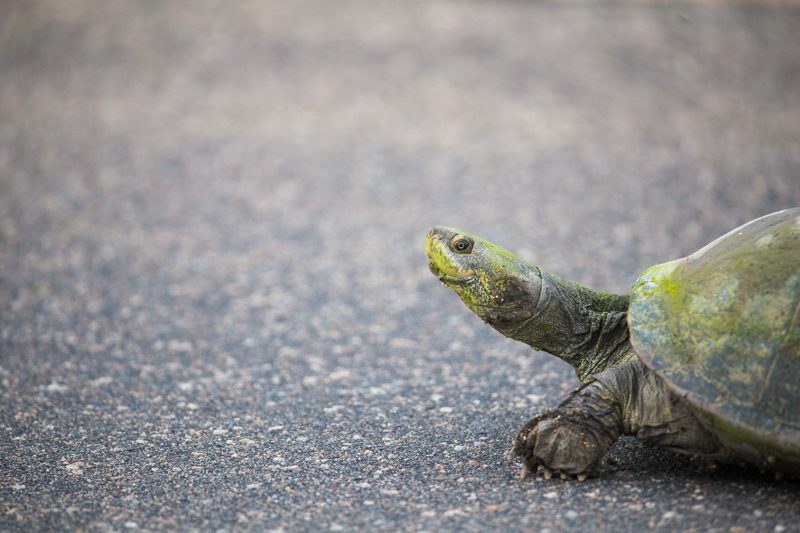 I think the biggest sight of that day was actually a tortoise. Lioness in the sunset light. 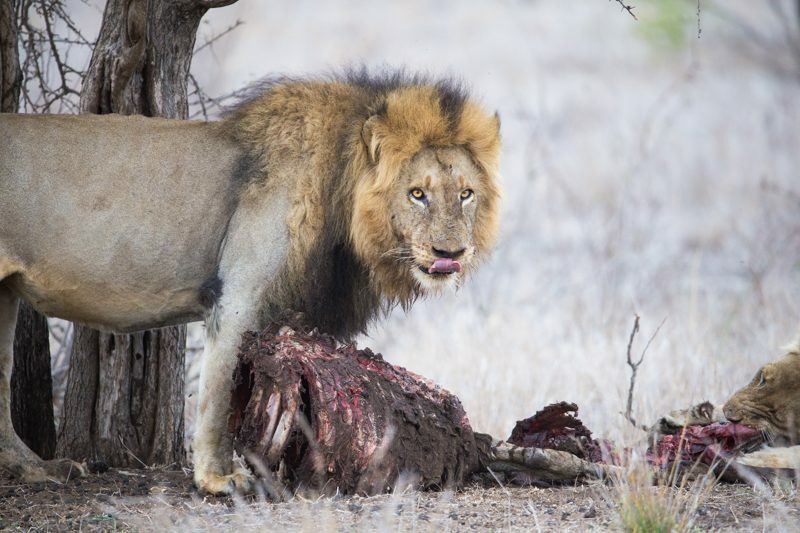 A big male lion with a zebra kill. 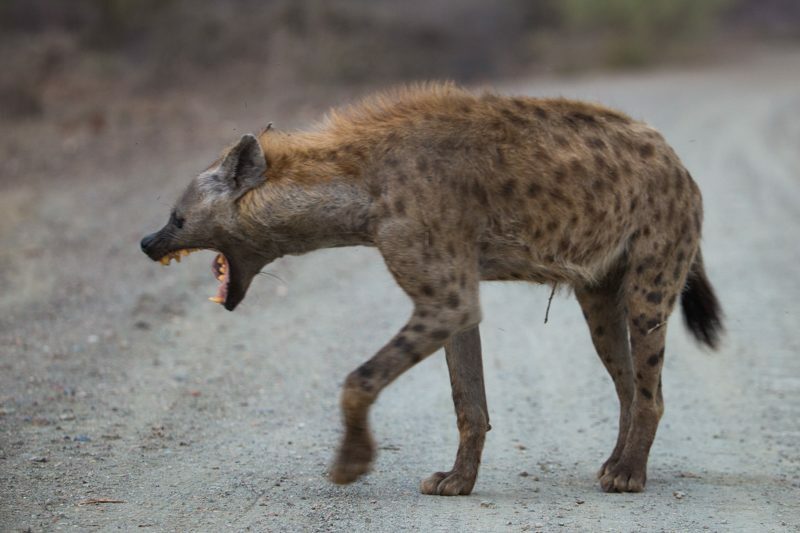 A hyena having a yawn. 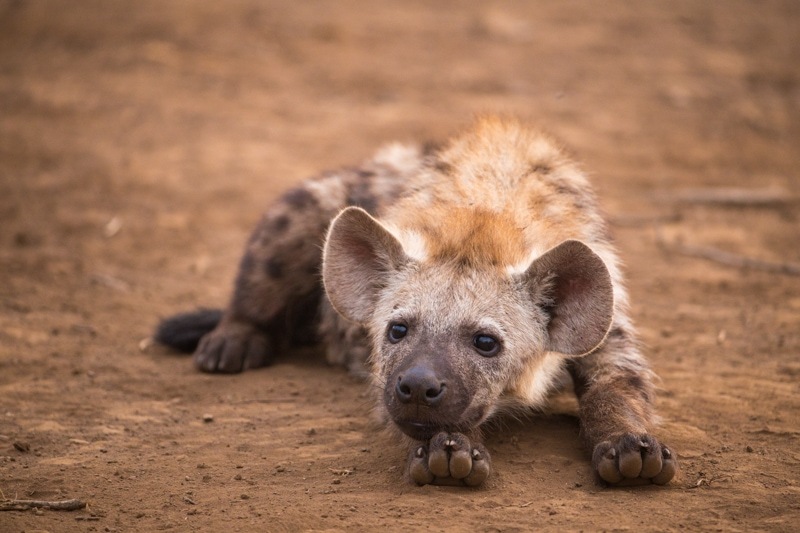 The cutest baby hyena I’ve ever seen. Disclaimer: the only baby hyena I’ve ever seen. My time in Southern Africa has been amazing. I feel so at home here, and really need to find a way to get back down here more often. I really think that I would live in Cape Town if it just weren’t so far from everything. After Africa, I hopped on a series of planes and made my way to Goa, India. I went to Goa on a tourism project with Goa Tourism as well as a non-profit called Leave Ur Mark. There are 15 other bloggers, vloggers, and photographers on the trip. Some of the people I’ve met before, and others are new. There’s a lot of content coming from that trip very soon.